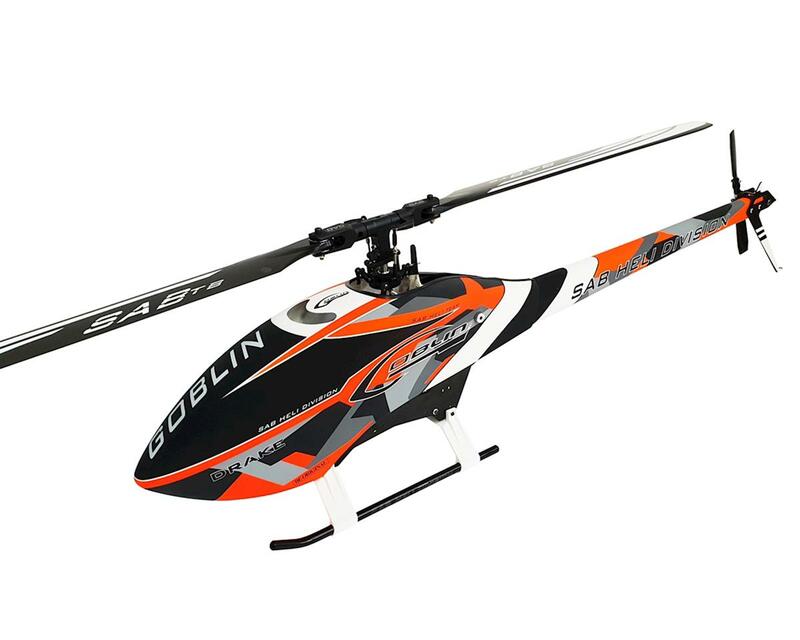 The Goblin Black Thunder Sport 700 "Drake Edition" from SAB Heli Division provides an incredible cost to performance package by offering a proven and robust platform that is the Goblin Black Thunder Helicopter! By manipulating some included parts within the kit, and additionally removing blades from the kit, SAB has been able to drive down the price of the Black Thunder Sport to an incredibly low offering never found before from SAB for a 700 class machine! Competition winning, proven and stylish design, and original design concepts are all still found at the heart of this helicopter.